On April 30th, 2018, Microsoft released the new version of Windows 10, known as April 2018 Update. Plenty of users have installed the update already, either because it became available for their computer, or by downloading it manually from Microsoft’s website. As with any update, April 2018 Update may create some problems. Thus, we will explore all the available solutions for the most common update problems. 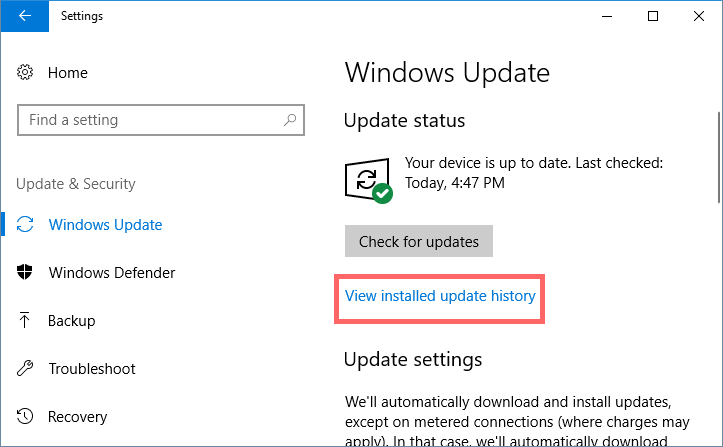 For detailed instructions on how to install April 2018 Update, visit our guide. Did you face any update problems with April 2018 Update? 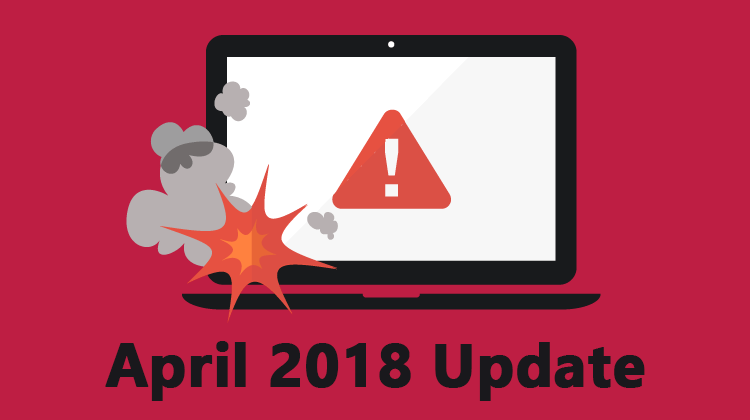 If we haven’t updated our Windows for a long time, we might face some problems during the installation of April 2018 Update. Therefore, it is advised to do a system repair before installation. We will have to use the command line, but the procedure is simple and straightforward. 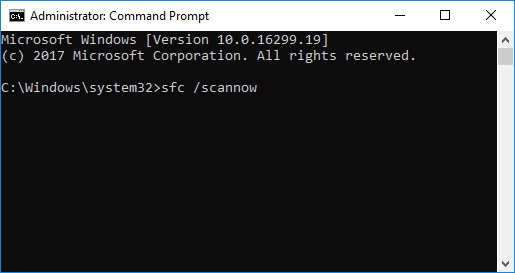 Type “msconfig” and press OK.
On the Boot tab, check the “Safe boot” box. Restart your computer and wait until it boots into safe mode. Furthermore, you should always create a system backup before an update. Besides the repair, we still might face issues during the installation of April 2018 Update. 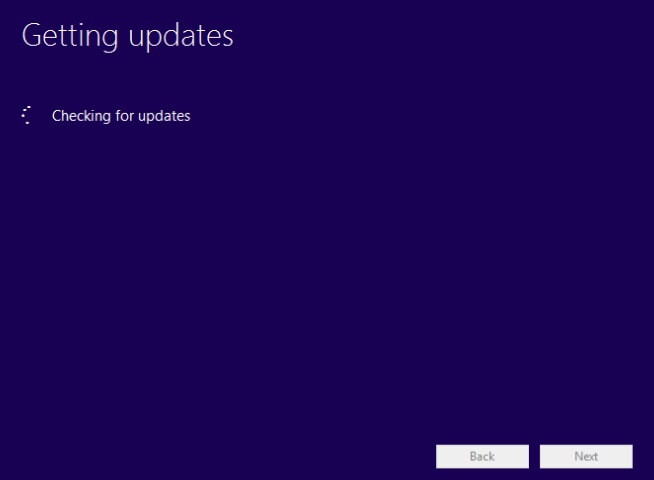 The next steps will help us overcome most update problems, with either Windows Updates or Media Creation Tool. Sometimes, the system is not able to communicate with Microsoft’s servers; thus, we can’t install the new update. 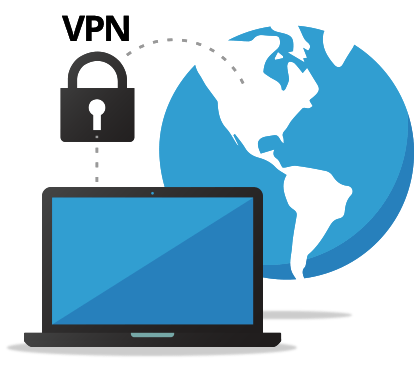 The most common reason for this problem is the use of a VPN service. If we use any VPN service, we need to deactivate it and try again to install the update. In a most unusual scenario, it is possible that an app occupies the system reserved space that the updates need to use. In such a case, we can deactivate the antivirus program we use, which is the major suspect for this kind of problem. If we still can’t update, the next step is to use a third-party tool to expand the system reserved partition to at least 500MB. If everything else fails, we can always try the Media Creation Tool route. On the other hand, if you see the above error code, then there was an unexpected error during the download. To solve it, you’ll have to clean the temporary files and free some space on your drive. 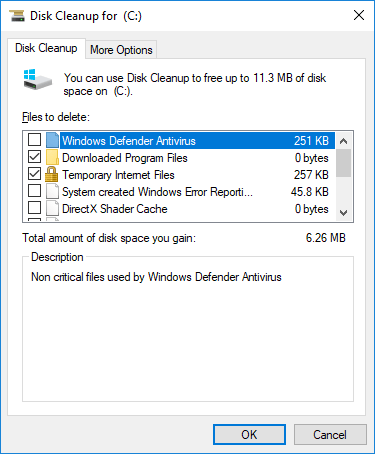 You can do this with the Disk Cleanup tool. 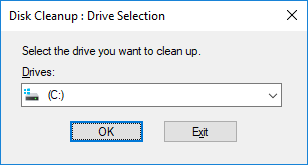 Type “cleanmgr” and press OK.
Click on “Clean up system files” and choose C: drive once again. Select the files you want to delete. Usually, you can clean the Recycle Bin, Temporary files, Temporary internet files, System error memory dump, Temporary Windows installation files, etc. Click OK and choose Delete files to proceed. Once you finish, repeat the update. No matter the error, the first thing we can do is run Windows Update Troubleshooter. 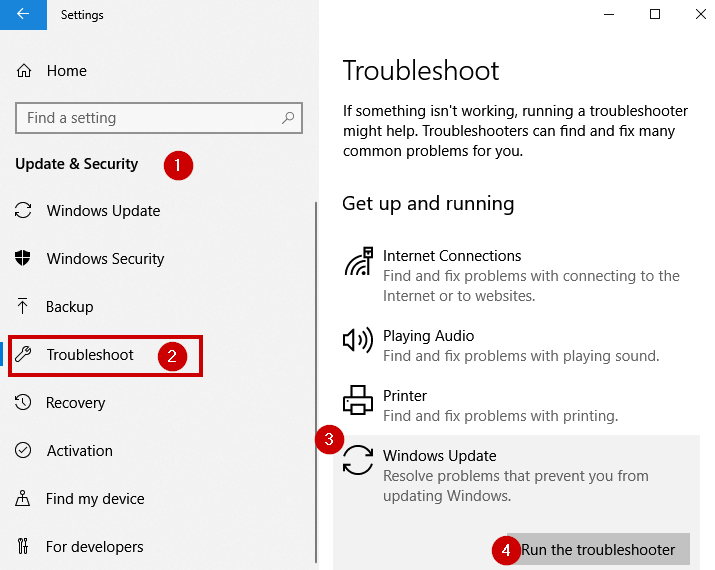 Select Troubleshoot and run the troubleshooter for Windows Update. Click on Apply and fix to resolve any issue. Restart your computer and try to install the update again. If you still have a problem with April 2018 Update, even after the troubleshooting, you can try to install the update through Media Creation Tool. During the download or installation of April 2018 Update, we get an error saying that some files are missing or they are corrupted. 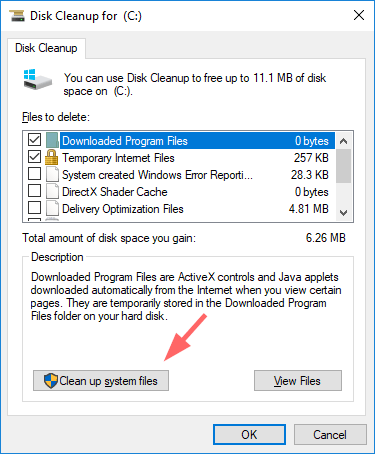 We can solve this issue with a disk cleanup, as described above. Once we finish, we can try to install the update once more. If the installation fails again, we use the Media Creation Tool and create a bootable USB for a clean install. However, the tool may face problems downloading some update, and it might get stuck. If that happens, usually Media Creation Tool gets stuck at the end of the download and right before the installation begins, without any error code. The easy way to fix this is to disconnect your computer from the internet when the download reaches 100%, turning off the Wi-Fi adapter or plugging off the Ethernet cable. The tool will stop searching for downloads, and it will proceed with the installation process. 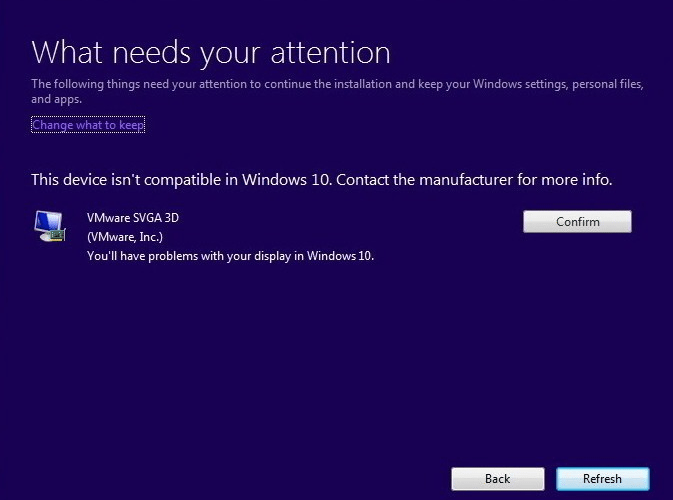 After the installation, make sure to check for updates with Windows Updates, to install anything that might be missing. 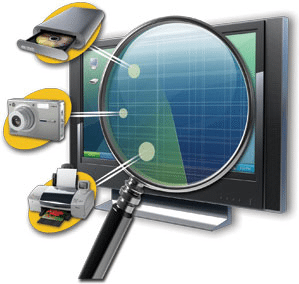 Most errors with Media Creation Tool are related to a Windows process called DynamicUpdate. If you restart the process, the download will start over, but it will be stuck once again. Press Windows key + E to open the explorer. Run the Setupprep.exe to start the update again. If you encounter this error, use the cleanup process we mention above, and delete all the temporary files. Then, disconnect all your peripherals and perform the repair you’ll find at the beginning of this guide. Try to upgrade again with a bootable USB. You can always backup your system and perform a clean install of Windows. If we use a bootable USB to install April 2018 Update on Windows, we may deal with a couple of known issues. The culprits this time may be some corrupted system files on the installation media. 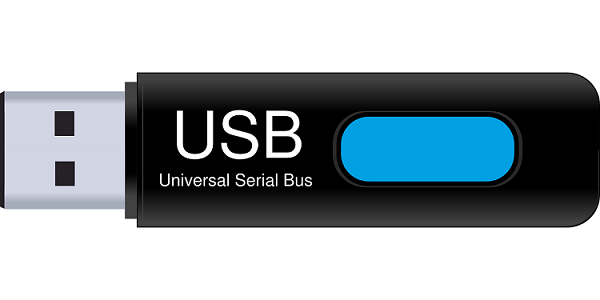 At first, we need to write the ISO once again to our USB, because something might have gone wrong the first time. Alternatively, we can use a different flash drive to make sure the first one wasn’t damaged. If the problem remains, or if we get the above error code, then the ISO might be corrupted. We have to re-download it with Media Creation Tool. Most of the devices - if not all - that are compatible with Windows 10 should run well with April 2018 Update. The only solution to these problems is to consider buying a newer system. 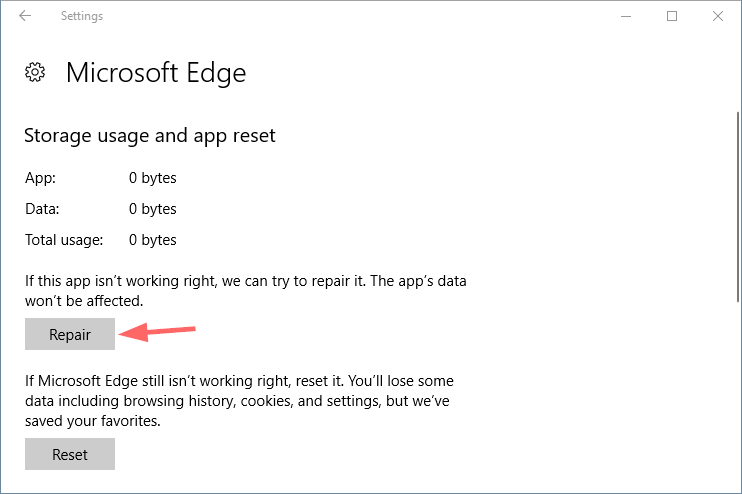 As we mentioned, if you already had Windows 10 and you’re just updating to the newest version, it is highly unlikely that you’ll run into this problem. However, there might be some low-end tablets or laptops that won’t be able to run April 2018 Update. The problem might be solved by installing more RAM in case of laptops. 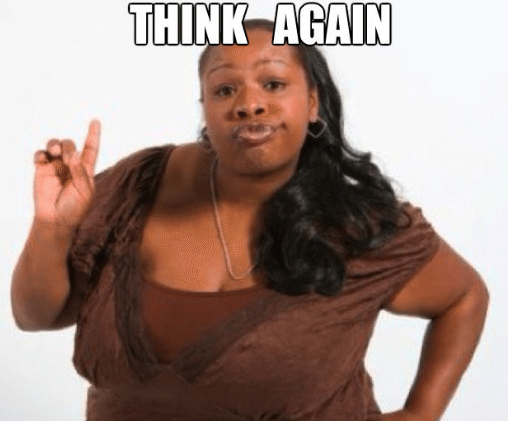 Any error that starts with 0xC1900101 has to do with driver incompatibilities. The first thing you want to do is fix the problematic driver. 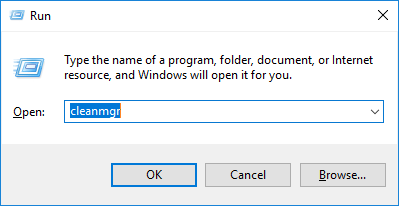 Right-click on Start and choose Device Manager. Right-click on the problematic driver, marked with a yellow warning sign. 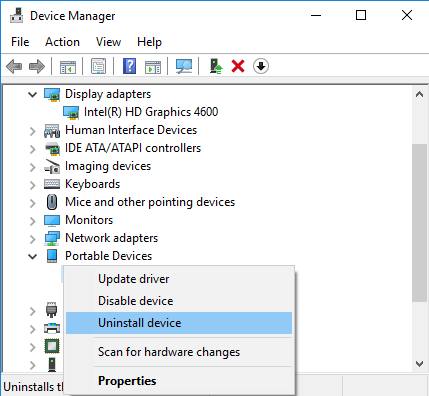 Choose to uninstall the device and follow the directions. After that, try to install the Windows April 2018 Update again. If the troubling device is a USB peripheral, we unplug it and try again. As a precaution, we can unplug all the peripheral devices we don’t need, like hard drives, printers, speakers, etc. If nothing of the above works, we can try to repair our system with the steps described at the beginning of this guide. As an alternative, we can try to use Media Creation Tool. This error code relates to a compatibility issue with a driver or program. 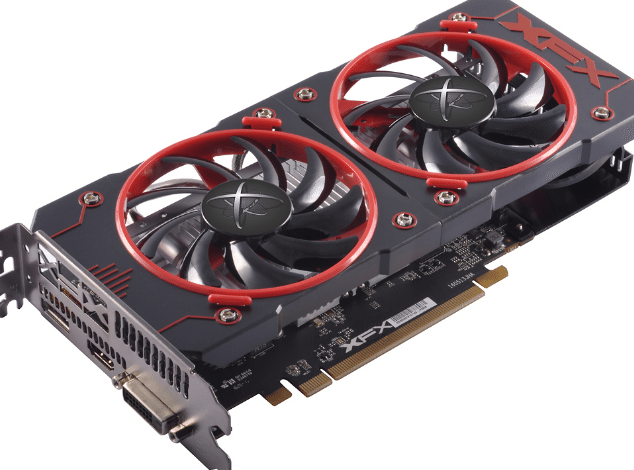 Graphics cards cause the problem in the driver cases, whereas older programs are the culprits on the software side. It may be pretty hard to locate the root of this problem, especially if our computer runs smoothly without the April 2018 Update. The fastest way to skip the error is to use Media Creation Tool. During the update, the tool will help us find the cause, and it will suggest a solution. 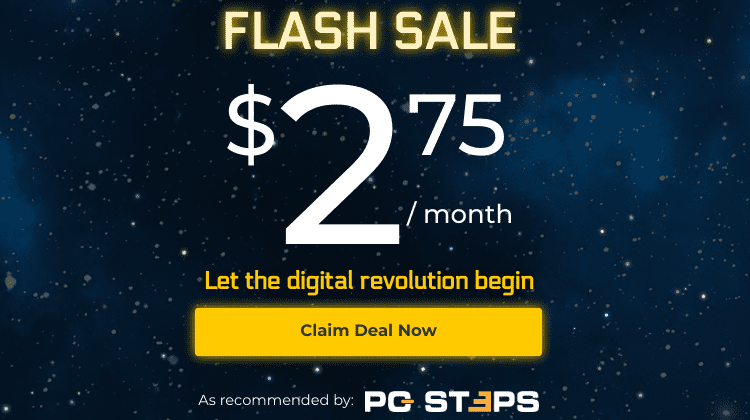 We can then install the newest drivers or uninstall the driver completely. To do so, follow the steps we described in the previous error. If the problem is caused by a program, we have to uninstall it. After the update, we can try to install it again. This code refers to an incompatible program as well. 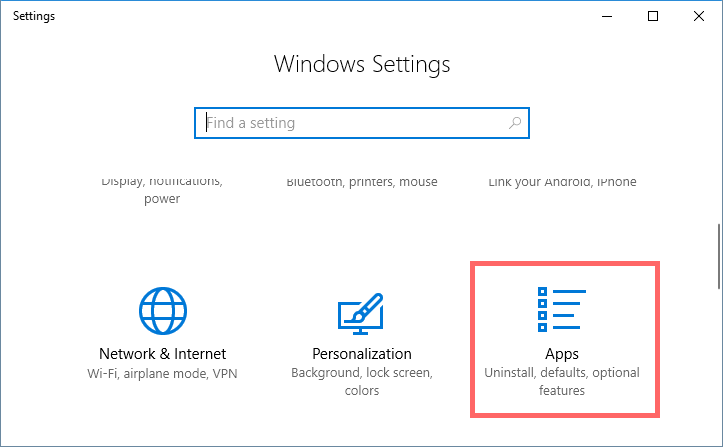 Windows will inform us on which app causes the incompatibility, so we can quickly remove it and retry. If we get the error above, it means we are trying to install the update without administration privileges. All we have to do is sign out and sign back in with an admin account. 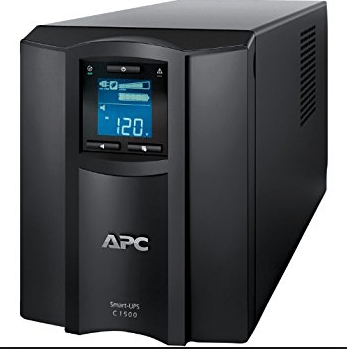 It can happen to anyone, especially with an unexpected power outage for desktop PCs without a UPS. The only thing you’ll need to do is restart the update. This time, be more careful. On some users, the update can’t finish, and the installation program restores the previous Windows version. Unfortunately, there is no perfect solution for these problems, since Windows itself doesn’t report the cause of the issue. If you have an old laptop, you can try to power off the device, remove the battery for a few seconds, put it back in and retry to install the update. For more information though, you can access your update history. Click to view the update history. Locate the update that failed to install and note the error code. Search the code on Google, or leave a comment below so we can help you further. 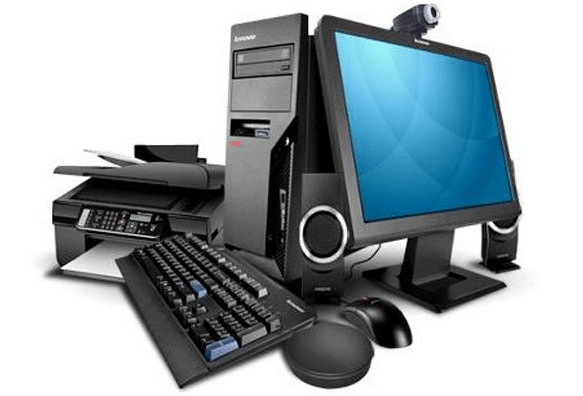 Usually, a bad driver or a faulty update can be responsible for the black screen during the installation. First, leave your computer open for a few hours, in case the installation proceeds normally. After 2 to 6 hours, and if the black screen insists, turn off the device. Unplug all your peripherals, except for the keyboard, mouse, and monitor. Turn on the computer and check if the update completed successfully. If it failed, use Media Creation Tool to make a bootable USB and try again. Cool, we finished the update or clean install of April 2018 Update. We can finally use our computer as usual. Right? The installation may have gone smooth, or it may have had problems. However, once we finish, we have other things to worry about. Below you will find the most common update problems post installation and how to solve them. There is nothing to worry about, your license is safe, and you can activate your Windows copy with the Activation Troubleshooter. You will find a step-by-step guide on how to do that here. The problems in this section are known issues for April 2018 Update. In case you notice any other problem, feel free to leave a comment below. 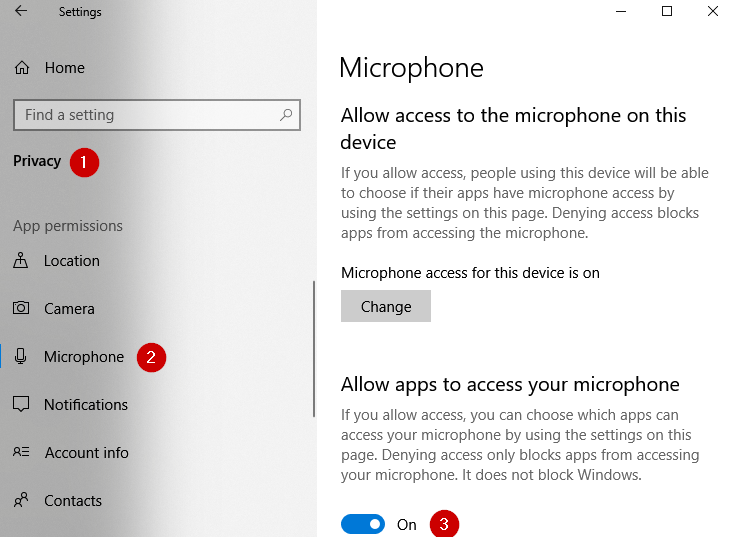 On version 1803, some users report that their microphone won't record any audio, although Windows seems to recognize it. Click on Privacy > Microphone. 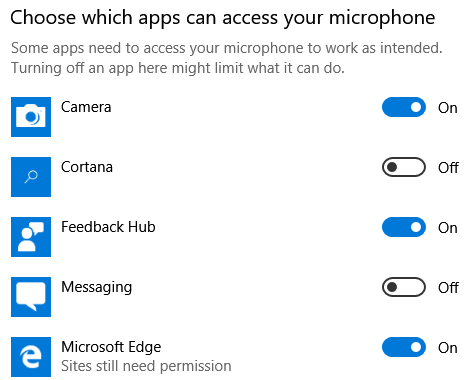 Turn on the switch to allow apps to access your microphone. 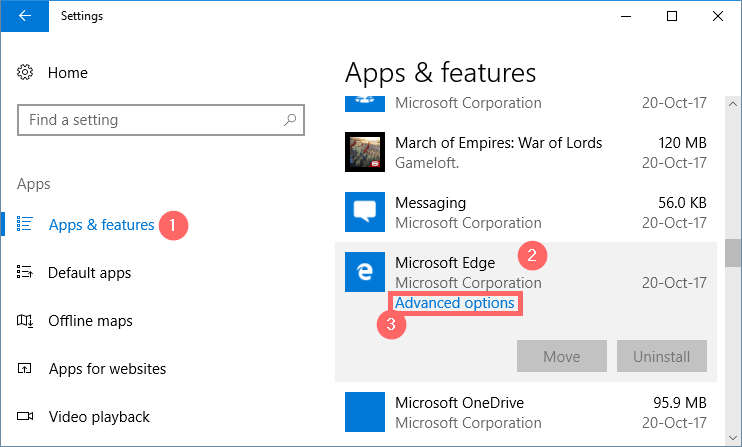 Then, enable access to the apps you want from the section below. The same issue can occur with the camera. All we have to do is follow the same steps. Click on Privacy > Camera. Make sure that the camera access for this device is on. 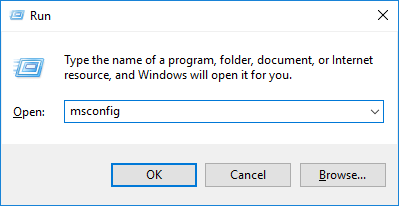 If it's not, click on "Change" and enable it. 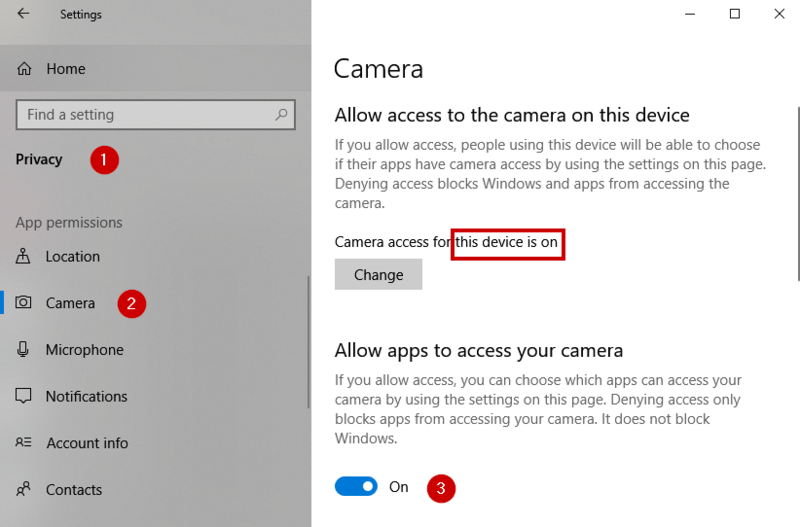 Then, turn on the switch to allow apps to access your camera. Last but not least, enable access to each app separately from the section below. 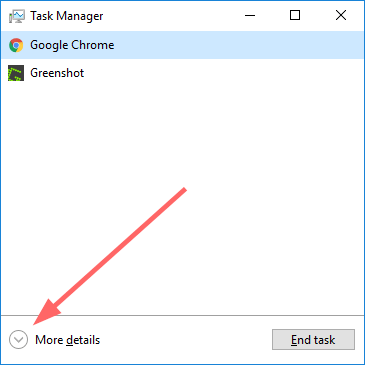 This issue is widespread among users, who report that while gaming, the Alt+Tab shortcut takes to long to work. The problem is the new feature Focus Assist, which is supposed to help us stay focused, without the annoying notifications. 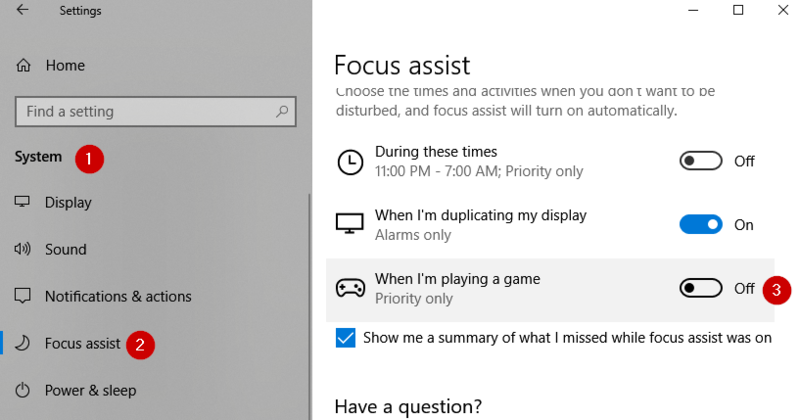 Open Settings and navigate to System > Focus Assist. On the Automatic Rules, turn of the last switch "When I'm playing a game." 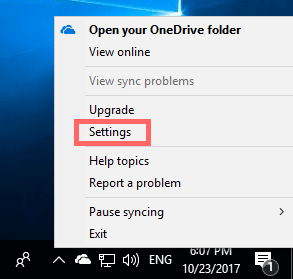 If you happened to notice a new partition on your drive, don't fret - it's because of the April 2018 Update. This new disk is a Windows recovery partition, and you should leave it as is. The only problem is that it shouldn't be visible. Microsoft has acknowledged the issue and will probably release a fix for it. If you have an Nvidia card and the Nvidia Settings panel is missing after the update, you should reinstall the latest drivers of your graphics card. Users report that Windows explorer randomly crashes after the latest April 2018 Update. Microsoft hasn't recognized the problem as a bug yet, but it is caused by the new Timeline feature. Deactivating the Timeline seems to solve the problem. We navigate to Settings > Privacy > Activity History. 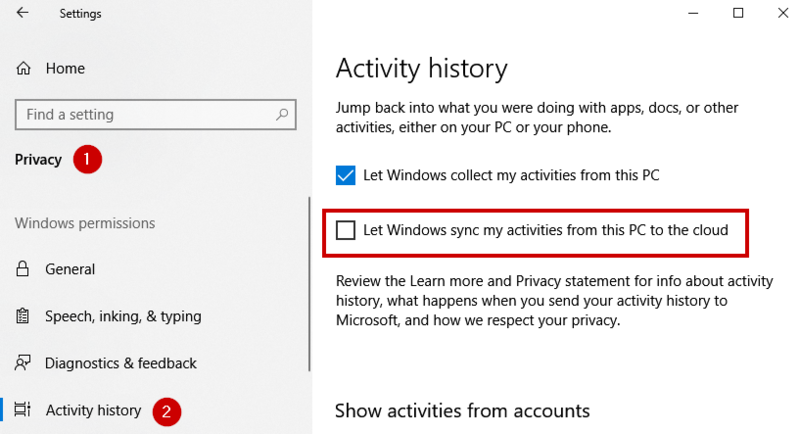 Uncheck the second box "Let Windows sync my activities from this PC to the cloud." Close the Settings and reopen the panel. 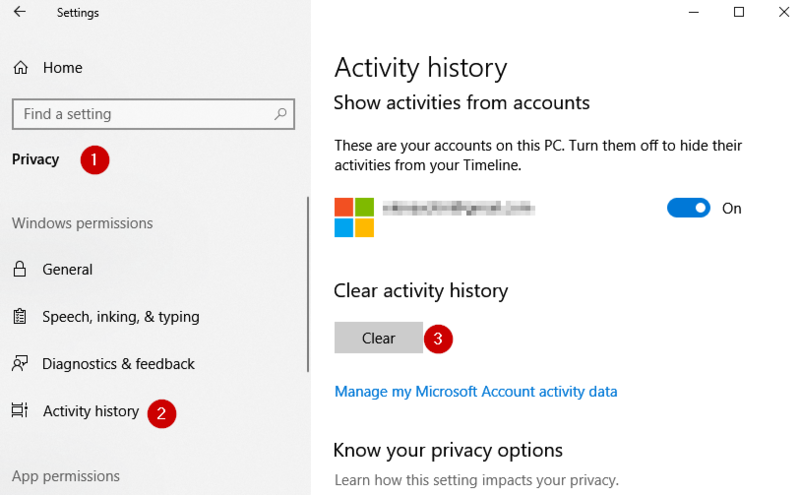 Navigate to the same tab and clear the activity history at the bottom of the screen. If you have difficulties while trying to connect to a wireless network, you will have to run the troubleshooter. 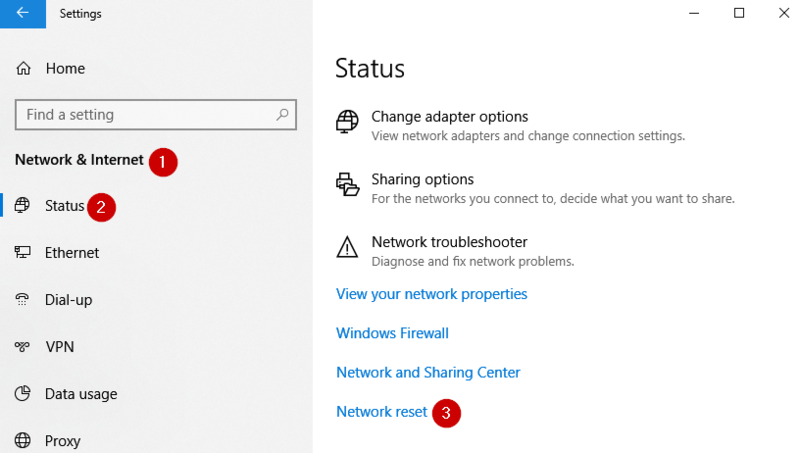 Click on the Network troubleshooter. Follow the steps described in the tool. 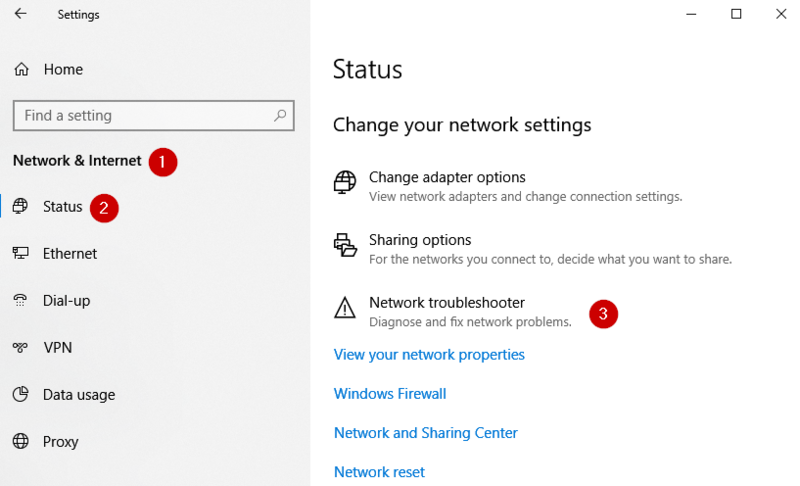 If the problem persists, then you can try to restart your network adapter. Open once again the panel Settings > Network & Internet > Status. As of May 3rd, Microsoft announced that there is a problem with certain Dell laptops and the April 2018 Update. In fact, the update has been blocked for the devices listed below, due to incompatibility issues. If you own one of these laptops, you shouldn't try to install the update manually, because you will eventually need to roll back to Fall Creators Update. Usually, when we update to a newer version, our settings remain the same. However, in the April 2018 Update, some of the settings were reset to the default values. Fast startup: If you had disabled the Fast Startup, it might have turned back on automatically. 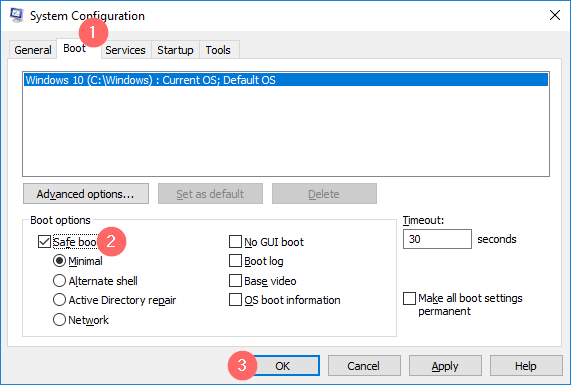 System protection: The system restore is off by default, but some users may have enabled it. If you are one of them, you'll find that it was turned off, and you'll have to re-enable it. 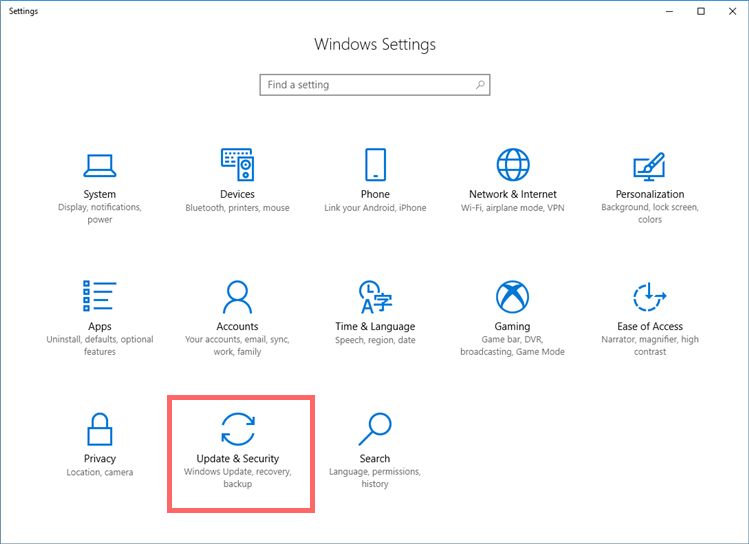 The issues below were present at previous Windows updates, such as the Fall Creators Update. Although they seem to have been fixed, we will list them for reference. 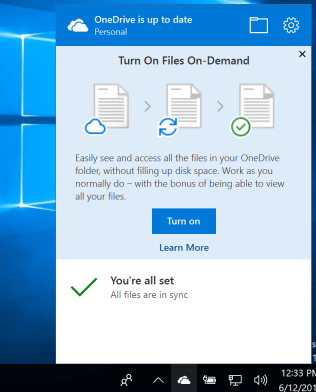 OneDrive has a new feature, known as Files On-Demand. 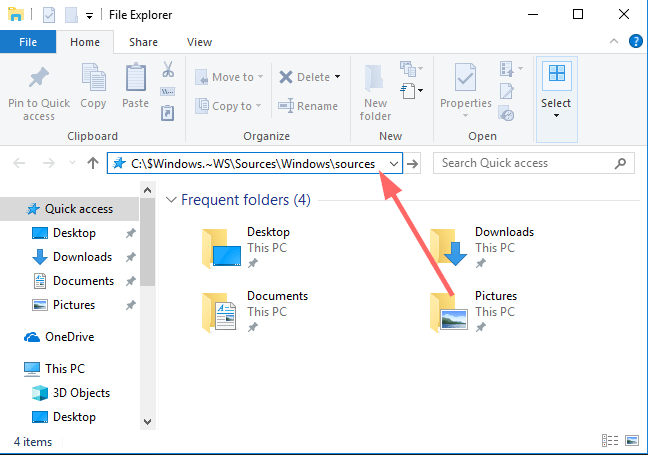 With this feature, we can access our files on the cloud from Windows Explorer, without the need to download them on our hard drive. 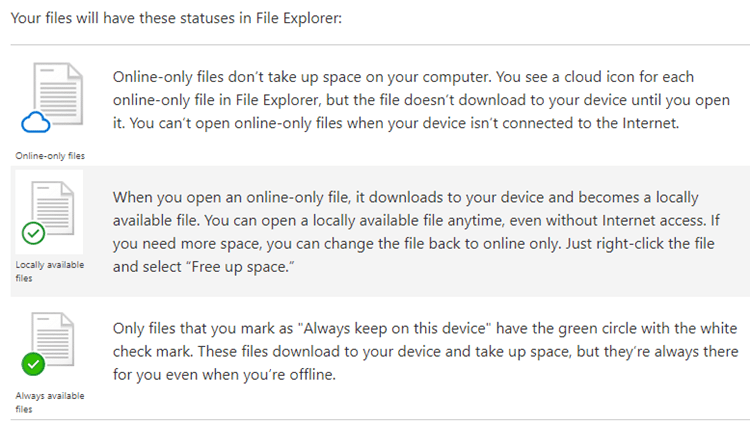 However, many users report that they can't find the new feature on their OneDrive. It is now a bug though since Files On-Demand isn't a feature of Fall Creators Update. On the contrary, it comes with the new version of OneDrive, and it seems that Microsoft will push this new version to our machines in waves. Open the setup and follow the instructions. 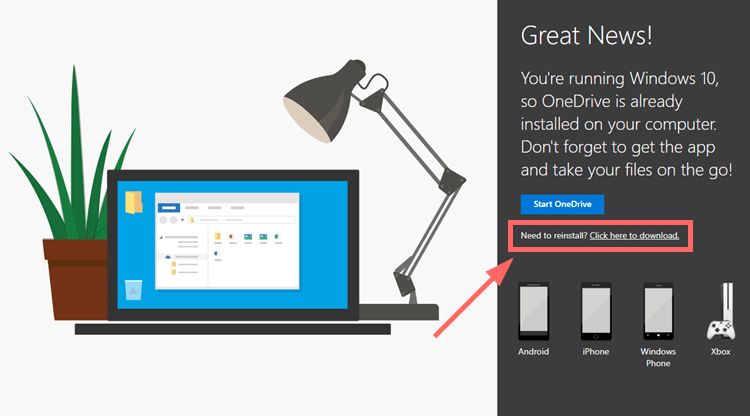 Open OneDrive and sign in. 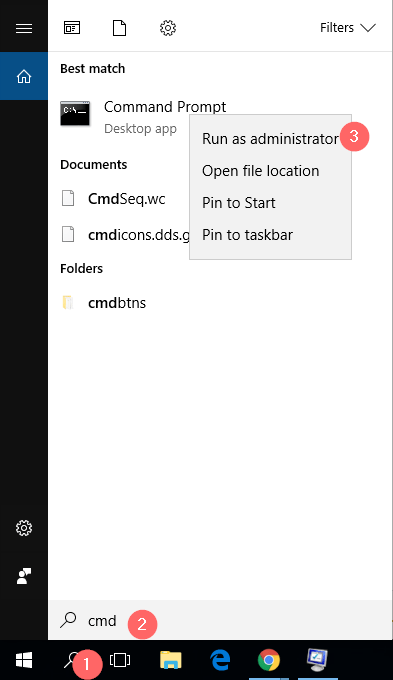 Right-click on OneDrive in the notification area and select Settings. That will turn on the Files On-Demand feature. Edge is not the most popular browsing program, but it’s becoming better and better with every update. This time though, some users are facing freezing problems with Fall Creators Update, where Edge becomes sluggish and unresponsive. 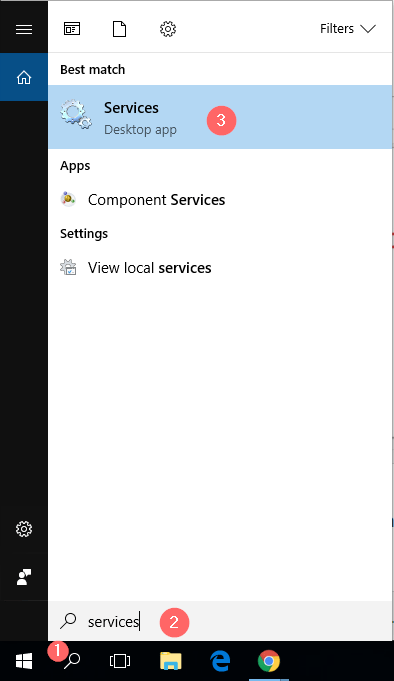 Microsoft hasn’t acknowledged the problem yet, but you can use the built-in troubleshooter and try to repair the app. Open Settings and go to Apps > Apps & Features. Select Microsoft Edge and click on Advanced. If you still have the same problem, repeat the steps and choose Reset instead of Repair. 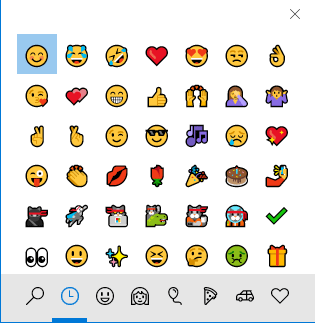 Another new feature on Fall Creators Update is the native emoji support with Windows key + “.” or “;”. Not on all of us though, since there are once again users that can’t locate the new feature. If you’re one of them, then you probably don’t have a US keyboard installed. Unfortunately, the emoji support is only for this language. 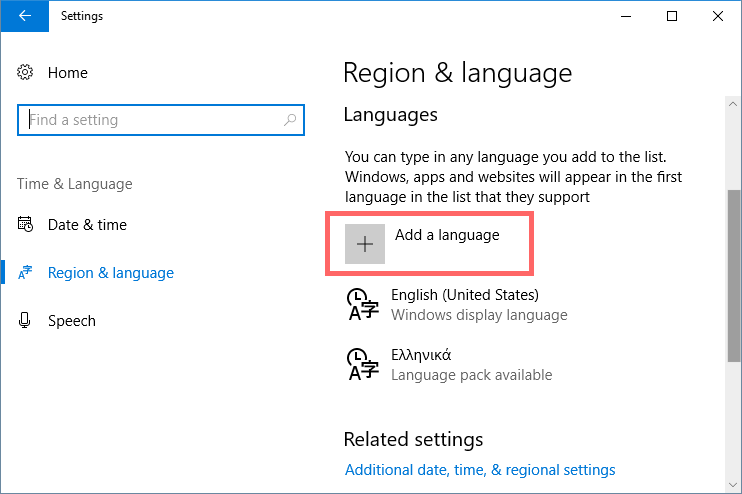 Open Settings and navigate to Time & Language. Find the US English and add it. You don’t need to make it your primary language. As long as you have the language selected, you will be able to use the above shortcuts. 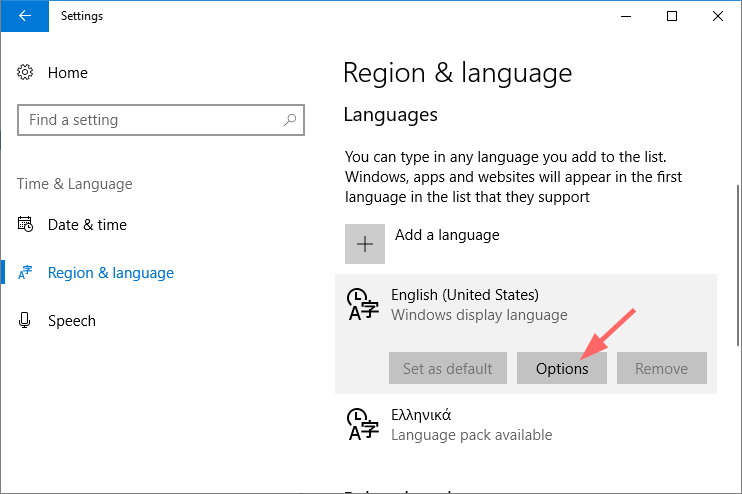 Click on the language and choose Options. 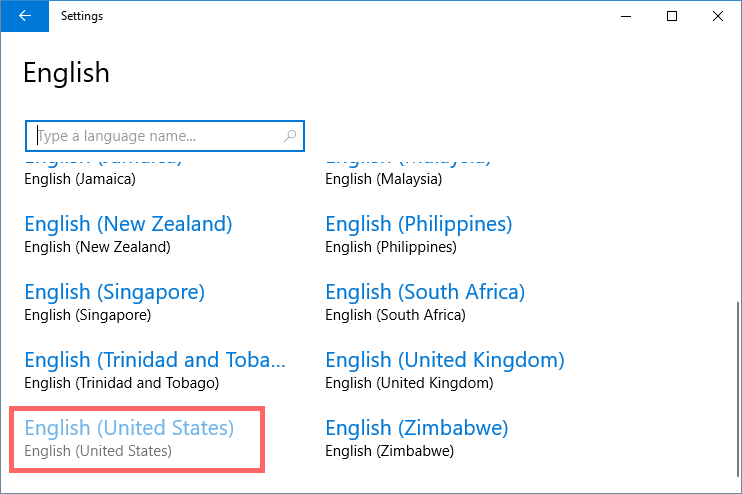 Select to add a keyboard and choose the US. 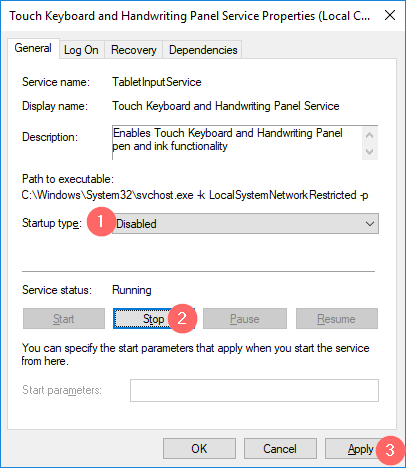 If you see a touch keyboard every time you boot your desktop computer, then you are probably annoyed. Microsoft hasn’t acknowledged the issue as a bug, but there are some workarounds. 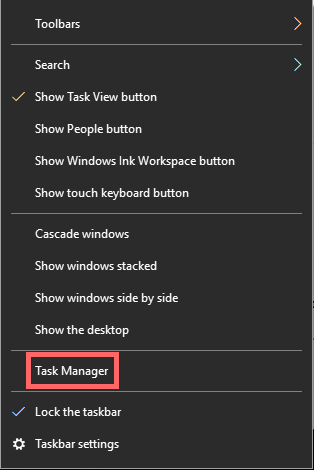 Right-click on the taskbar and open the Task Manager. Find the Touch Keyboard and Handwriting Panel process and end the task. 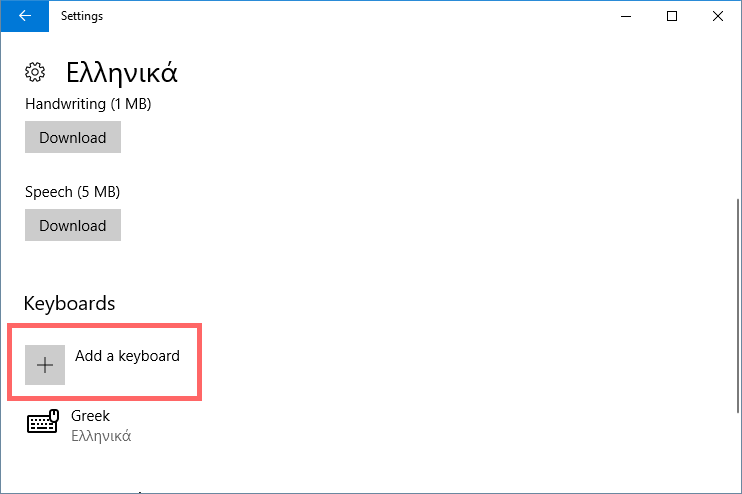 With these steps, it won’t open again on startup, but the problem will return if you start the touch keyboard manually. You can always disable the touch keyboard if you never use it. Search for Services and open it. 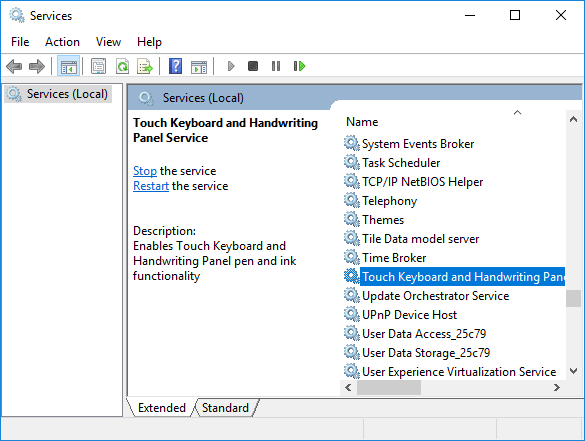 Locate the Touch Keyboard and Handwriting Panel Service and double-click on it. Click on the drop-down Startup type menu and choose Disable. If there’s ever an update that fixes the problem, you can revert the changes. It seems that the Start menu has some problems after the update. 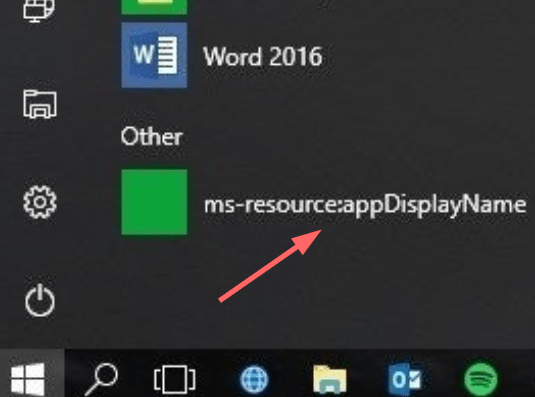 Users reported that icons and live tiles are missing, others see a weird “ms-resource” entry, while on some users the Start menu doesn’t work at all. First, try to reinstall the missing apps from the store. Alternatively, you can reinstall all the built-in Windows apps from PowerShell. 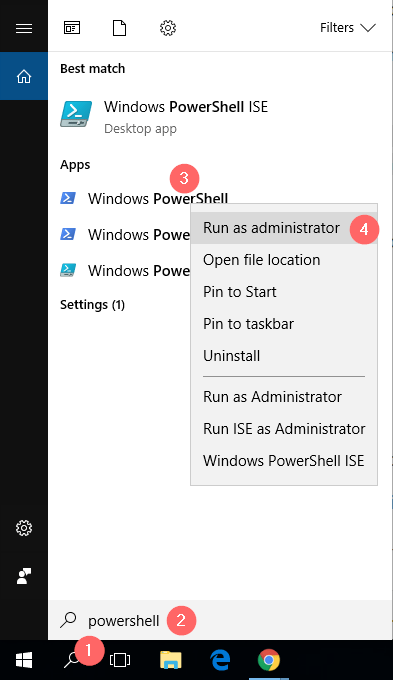 Type “Powershell” on search, right-click on it and run it as administrator. Although an update is supposed to improve our user experience with an operating system, sometimes it may create more problems than it solves. If you encountered any of the issues above or if you need more help installing the new April 2018 Update, feel free to leave a comment below. Mobile Hotspots not working after install. Does anyone have any ideas of a work around or fix? Thanks much! Hello. Did you try to perform the repair steps described in the beginning of this guide? No, it suddenly started working on its own about a week after I got the update. There've been no updates since so I'm at a loss as to how this happened. Thanks so much for your help! Hi there nice post.! a lot of info's there! But when i did the update it created me a new user with a clean desktop screen and when i tried to switch users i could only see 1 user :/ have you got any insight about this? hi Elena, you're my favorit. How do I fix annoying "Low Disk Space" error message? Reads: "You are running out of disk space on CF(D:)." It pops up every minute or so. drives me crazy.